Holiday Home Sweden, Gotland, Stånga: "Gangvidegård stuga1"
Comfortable living at a farm on the summer island of Gotland is promised its guests by this newly built holiday home. 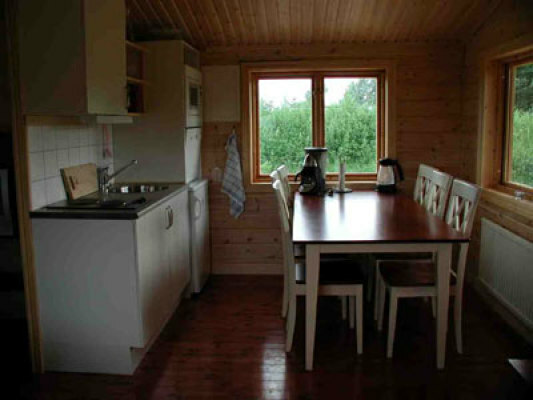 The self-catering cottage is one of six houses which are located directly at the river Närsån and only two kilometers away from the Gotland Baltic Sea coast. 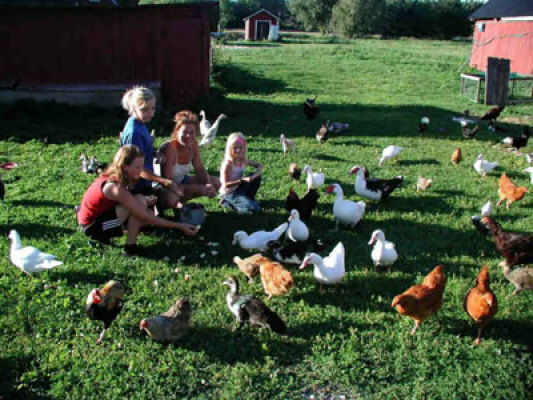 Participate in the fascinating activities of the farm and feed, for example, the small and large animal denizen or enjoy the fantastic nature of the island by means of a canoe tour, beginning directly in front of the holiday domicile. 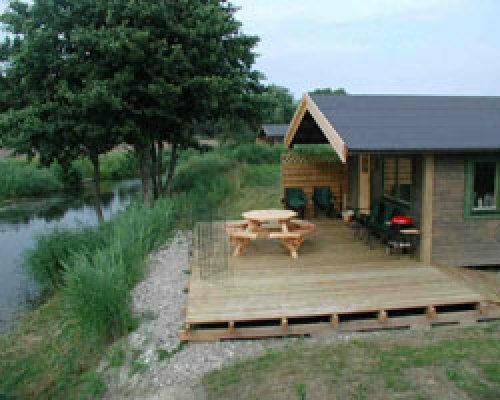 Or enjoy the numerous beaches of Gotland during a restful seaside holiday. A boat with small electro engine aswell as canoes can be rented on-site from the landlord. Bed linen and towels can be ordered for 95 SEK/person. Radio, CD player, Bed linen/towelBed linen and towels can be ordered for 95 SEK/person.